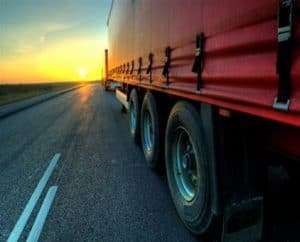 The Road Haulage Association (RHA) has pressed the chancellor George Osborne to deliver improved support for members of the UK logistics sector, with an ongoing lack of drivers causing serious concern for many operators. Chief executive of the RHA Richard Burnett has argued urgent action is now needed by the Treasury to incentivise more people to take on the costs of becoming qualified to drive heavy goods and other logistics vehicles on the UK’s roads. At present, achieving accreditation can cost individuals up to £6,000 and this is seen as a considerable hindrance to encouraging more people to enter the industry in the years ahead. He added that the recent publication of the chancellor’s final Autumn Statement of this parliament could be viewed as a “missed opportunity” to address many of the ongoing financial concerns of the UK haulage sector. As a result, the RHA is now calling on the chancellor to engage more closely with representatives of the logistics sector, if this problem is to be addressed before lasting damage is caused to the ability of operators to function in an efficient and productive manner. Many companies are increasingly turning to drivers from abroad to fill their needed positions at present, but this should not be seen as a lasting solution to the issue of shortages.